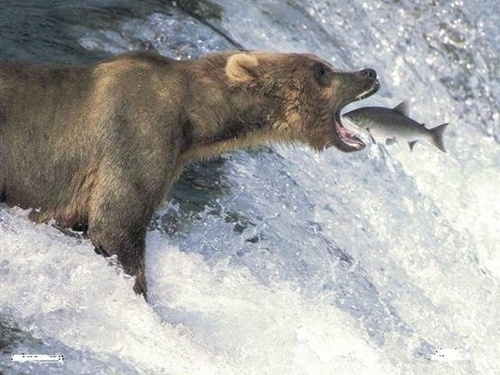 Bear Fishing. Bear. Wallpaper and background images in the Wild Animals club tagged: wild animals nature.. Fish: What ?!?!?!? I'm kinda deaf..Uhm..I'll get closer so I can hear you !.. Bear : I said - Have you seen NEEEEMOOOO ?????? ?